This post is sponsored by Lemi Shine. All thoughts expressed are my own. 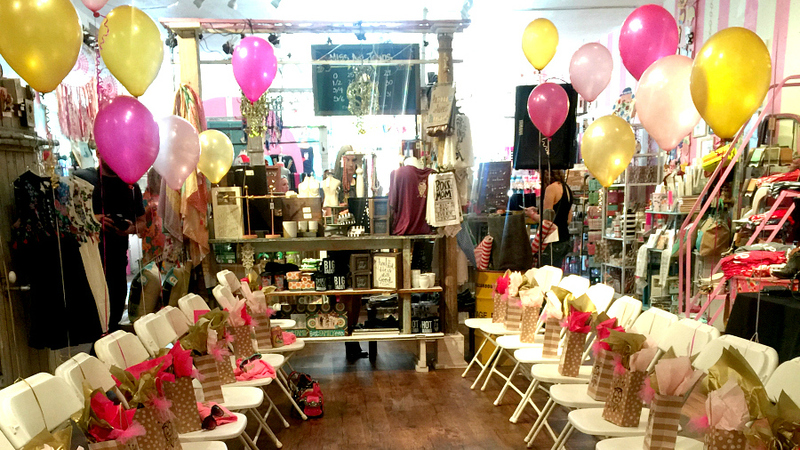 It’s time to start spring cleaning and rethinking how I will keep our home in tip top shape. I love this time of year, because it feels like a clean slate, a sort of out with the old, in with the new mentality. I spent the morning tackling my kitchen. I cleaned out cupboards, the pantry and my junk drawers. I pulled out every cleaning product I had under the sink and finally got around to ditching all those harsh chemicals. With a six month old in the house I am finding it more important to rethink what I am using in my home. 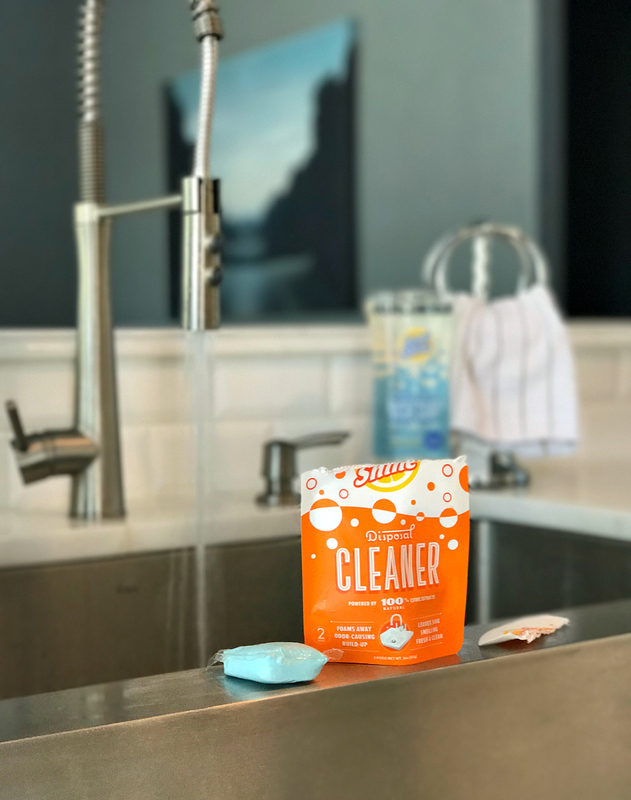 I partnered with Texas-based and nontoxic cleaning product brand Lemi Shine to give their new and improved products a try in my home. Lemi Shine products are powered by natural citric extracts and no harsh chemicals. 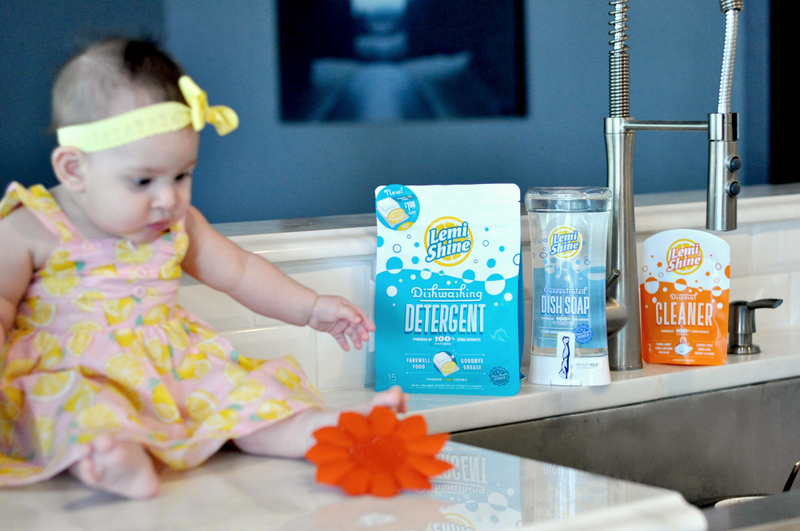 Are you aware of those questionable chemicals in your household products? 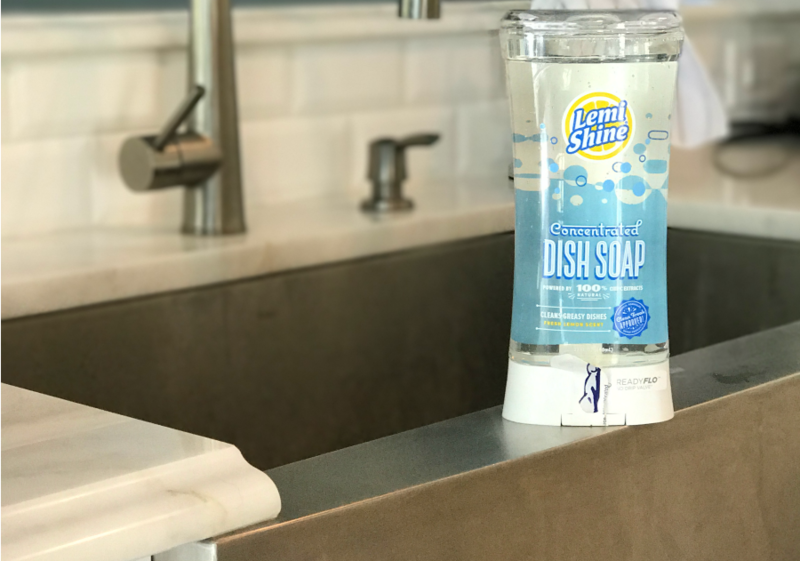 The new and improved Lemi Shine Dishwashing Detergent, Dish Soap and Disposal Cleaner are made from 100% natural citric extracts and are formulated to resist future odors and grime. Have you ever walk into your kitchen and wondered ‘what is that smell’? I have done it more times than I care to count. I will hover over the trash can and sink trying to pin point where the foul odor is coming from. My sink gets pretty grimy, so I can only imagine what the drain and disposal look like. 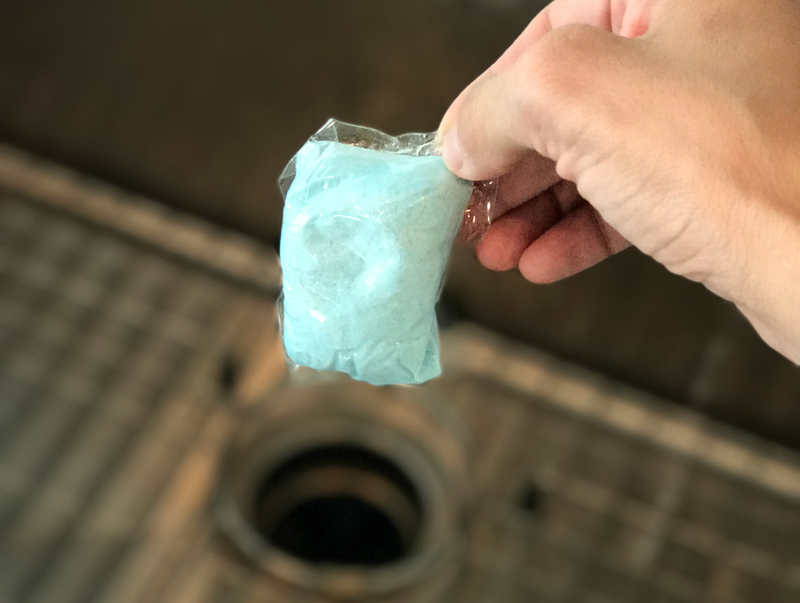 After a deep clean of the sink and dishwasher, I gave the Lemi Shine disposal cleaner a whirl. It’s a super simple process of running the hot water, adding the Lemi Shine disposal cleaner pod and turning on the disposal. As the disposal was cleaning a nice foam emerged and within a few minutes my sink smelled fresh again. 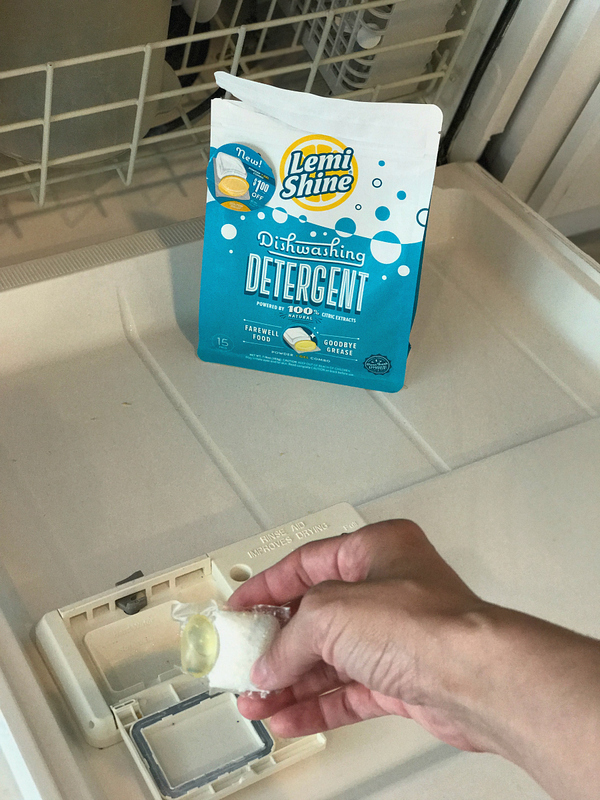 I’m so happy that I made the switch to the Lemi Shine dishwashing detergent. The pods fit nicely into my dishwasher and leave my dishes sparkling clean. I actually started using my glasses again after giving up on them, because I hated the spots left from previous dishwashing agents. I am happy to say that my dishes are spot free and clean with Lemi Shine. I don’t do a ton of hand washing since my dishwasher gets a bulk of my cleaning done. But a few items everyday do get hand washed. 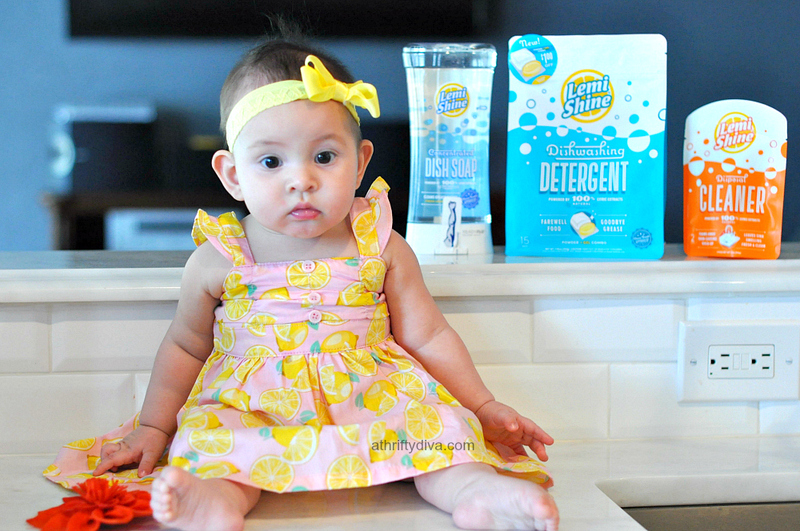 I use the Lemi Shine dish soap on my hand wash only dishes and my daughters high chair. The first thing I noticed about the dish soap is how easily it cuts the grease and grime. Hot soapy water will literally dissolve the oily grime off my favorite pan. The light fresh scent also leaves my kitchen smelling fresh and my hands are softer than ever after washing. 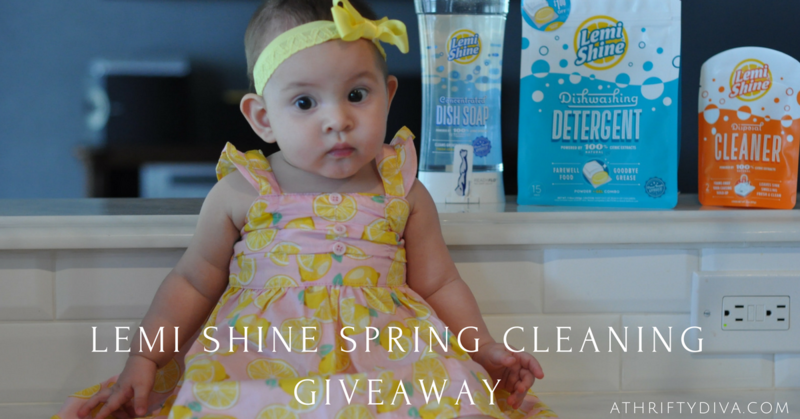 Print your favorite Lemi Shine coupons https://www.lemishine.com/coupons-offers/.